It sure has seemed like winter the last week and it seems that more and more archeological excavation is taking place during the winter here in the north. 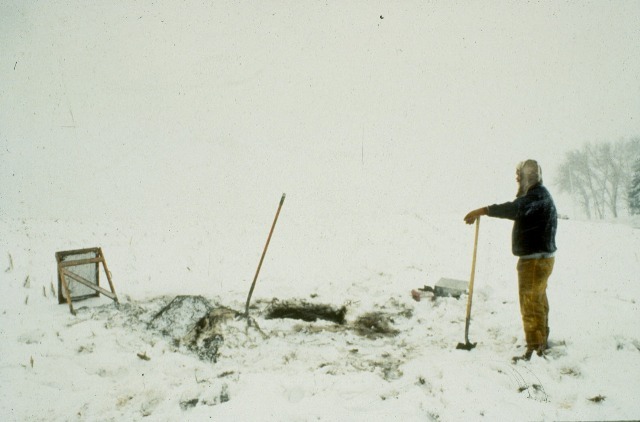 In the past once the snow fell or the ground froze most archaeological work stopped for the season and archaeologists retired to the lab analyzing the material excavated during the spring, summer and fall seasons. 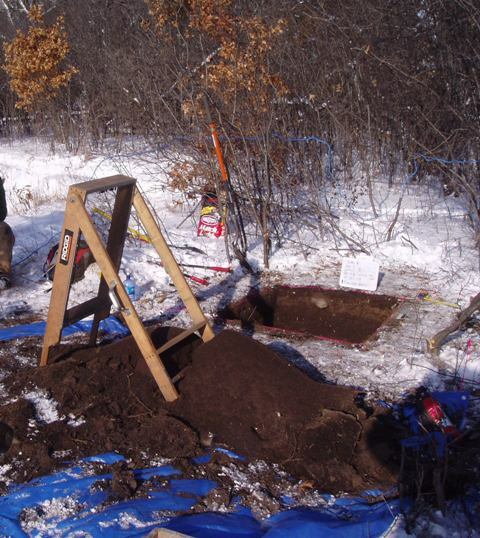 Most of the work taking place in the winter is site excavation, rather than looking for sites (survey) and is driven by project construction schedules. At this point the archaeologists are aware of the presence of the site and need to evaluate or gather data from the site before construction impacts or destroys the site. While the work is still done by hand using shovels and trowels, improvements in winter outerwear have made the work a little more bearable. Space heaters and temporary plastic enclosures help to temper the cold and thermal blankets or old fashioned straw bales help to keep the excavation units from freezing overnight. Florin Cultural Resource Services gained some notoriety and got lots of media attention last year for excavating outdoors through one of the coldest winters on record. They seem to be at it again this year and have been working on a road project near Gull Lake, northwest of Brainerd. Here is a link to some of the press they have been getting so far this year.